Here is an exerpt of my post after being informed of Thuy's passing in 2001. 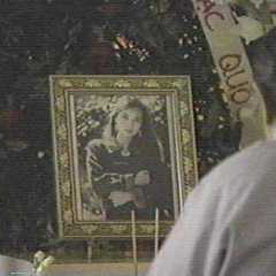 It is with deep sorrow and regret that I inform you that our beloved Thuy Trang passed away in a car accident on September 3, 2001. I do not know the details of the tragedy, but rather than wonder how Thuy died, let us remember how she lived and affected our lives. As you may know, this fan site was created in her honour back in 1997. At the time, there were not many Web sites dedicated to the actress who portrayed the original yellow Power Ranger. 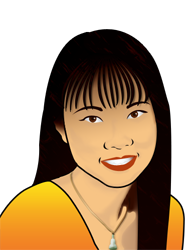 I named the fan site Thuy Trang Tribute because all too often, we do not fully appreciate or praise those whom we admire and love until they pass away. But why wait? Thuy's fans certainly did not. I was lucky enough to be able to speak with Thuy last year over the phone. She was as warm and as gracious as you would expect. Thuy's message to you, her fans, follows below. We will miss Thuy terribly in her untimely death, but in her life she touched us dearly. And for that, we say, "Thank you so much," and send our love and remembrance to Thuy Trang. Our condolences and prayers to her family and friends. "Tell all the fans that I completely adore them, and tell them I say, 'Thank you so much', for their love and support; and that I miss them terribly, and hopefully I get to see them or they get to see me up on the screen soon. And send my love, definitely."